There's been a real buzz around the word hygge for quite some time now. Pronounced 'hoo-gah', it's the Danish term for the feeling or mood that comes from taking genuine pleasure in making mundane tasks more meaningful and beautiful. Meik Wiking - CEO of The Happiness Research Institute - has written a book about hygge which explains the concept in greater detail. 'Hygge has been translated as everything from the art of creating intimacy to cosiness of the soul to taking pleasure from the presence of soothing things,' he writes. Meik is a firm believer that hygge is the reason the Danes are constantly voted as the world's most contented people. Activities such as enjoying a hearty stew with friends and snuggling under a blanket while watching a film are both considered hygge. And lingering over a delicious slice of homemade cake with a steaming mug of tea is very much in the spirit of the concept too. Tempted to give the Danish way of life a try? We think it's something any knitter of crochet enthusiastic could work seamlessly into their routine. After all, it'd be tough to think of many things more hygge than losing yourself in your latest project as you sit beside an open fire wearing a pair of pyjamas. We have lots of wonderful patterns in The Knitting Network shop to get you started. Our Cushions And Throws Set is perfect for days you fancy doing nothing more than curling up on the sofa with a good book, while our crochet pattern for a Vintage Lace Blanket will luxe-up your bedroom. And no wintry walk through the woods would be complete without a cosy accessory. 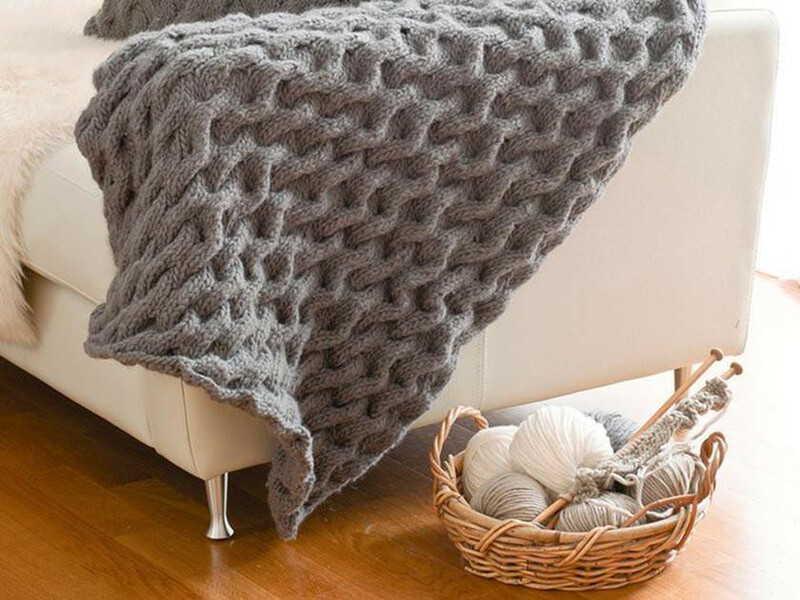 Our oversized scarf promises to keep out the chill and is easy to make using just one ball of yarn. For a simple way to make everyday more enjoyable, knit up a couple of pairs of our Lace Socks using your favourite shades and yarns.